Balton Commons. Image credit: CPC. 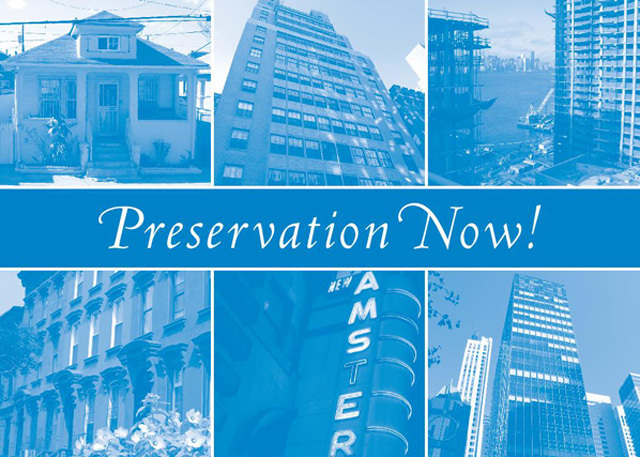 Historic Districts Council’s annual preservation conference celebrated City history, identified priorities, and looked forward to new battles and a new administration. The Historic Districts Council hosted its 19th Annual Preservation Conference over three days from March 1 to 3, 2013. The conference featured receptions, guest speakers, panel discussions, and walking tours. The American Institute of Architects also provided continuing education credits. New York Law School hosted the conference on Saturday, March 2nd. Participants from various fields spoke on panels regarding preservation campaigns in the public and private sector. Panelists presented individual talks on preservation issues and took questions from the audience and panel moderators. The event attracted people actively engaged in preservation advocacy and sought to strengthen connections between disparate groups pursuing a common cause. In her introduction, HDC President Francoise Bollack called the preservation of historic architecture “a collective endeavor.” Panelists and speakers repeatedly criticized the Bloomberg Administration and City Planning Commission Chair Amanda Burden for their perceived lack of consideration of preservation issues.